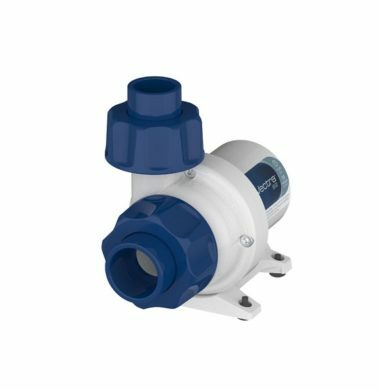 The Ecotech Vectra S2 Return Pump is the latest, smallest model in the new series of Vectra Return Pumps. The Vectra 2 Series is an update to the original Vectra platform. Improved couplings, specifically designed for standard PVC, combined with ergonomic collars allow for a more versatile and robust Pump, whilst still keeping the same great performance that the Vectra is renowned for. 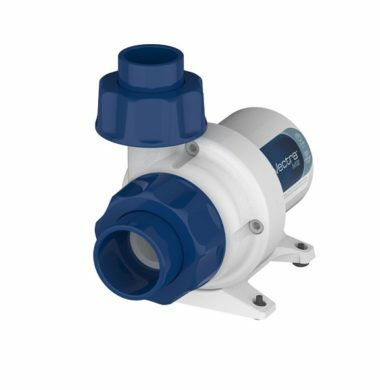 The Ecotech Vectra M2 Return Pump is the latest, middle model in the new series of Vectra Return Pumps. The Vectra 2 Series is an update to the original Vectra platform. Improved couplings, specifically designed for standard PVC, combined with ergonomic collars allow for a more versatile and robust Pump, whilst still keeping the same great performance that the Vectra is renowned for. 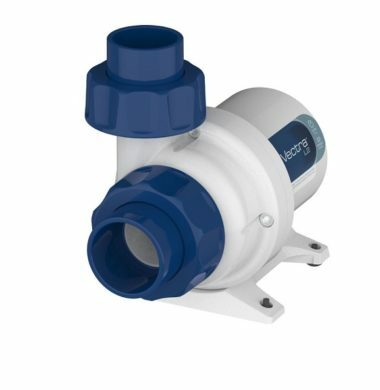 The Ecotech Vectra L2 Return Pump is the latest, Largest model in the new series of Vectra Return Pumps. The Vectra 2 Series is an update to the original Vectra platform. Improved couplings, specifically designed for standard PVC, combined with ergonomic collars allow for a more versatile and robust Pump, whilst still keeping the same great performance that the Vectra is renowned for. 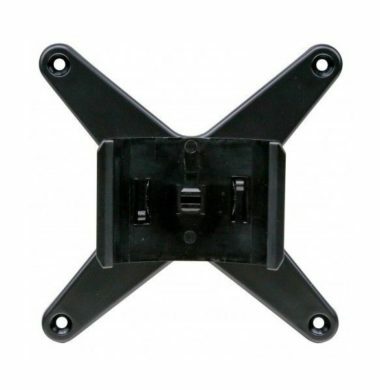 The Ecotech Vortech Driver Holder is a metal mounting bracket designed to accommodate the Vortech Controllers. The Ecotech Vortech Driver Holder allows the aquarist to secure their VorTech driver securely while maintaining ease of access for programming and adjustment. The Ecotech VorTech Driver Holder will work with all QuietDrive and EcoSmart VorTech* controllers. PLEASE NOTE: Vectra Driver mounts have different dimensions to accommodate the integrated heat sink. 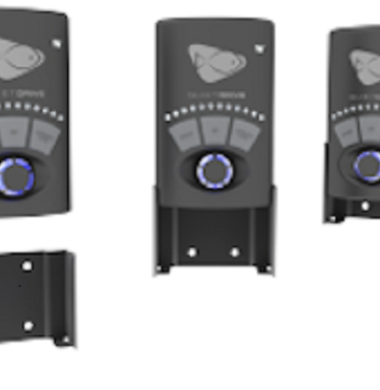 Vortech Driver Holders cannot accommodate other Ecotech Product Controllers. 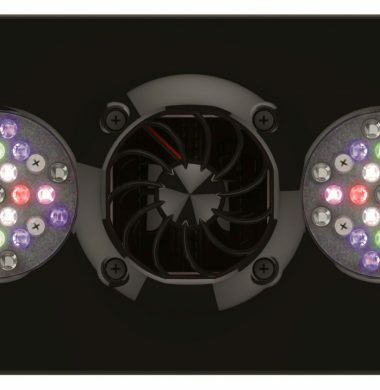 The newest generation of Radions radically re-defines the simplicity, beauty and power of the LED light. 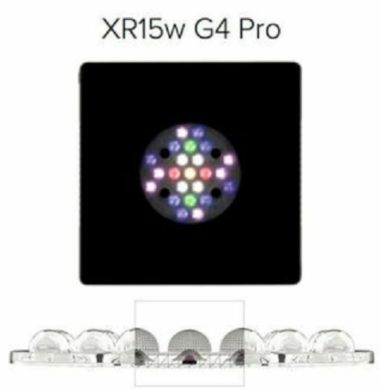 The best aquarium LED light in the world just got better. 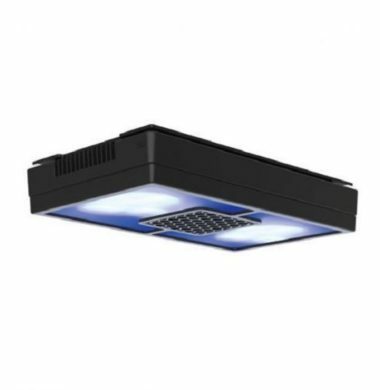 The Ecotech Radion XR15 Diffuser is designed to be used in conjunction with the Radion XR15 to offer a smoother, less ‘pinpoint’ appearance to the colour spread offered by the standard fixtures already supplied with the light units. 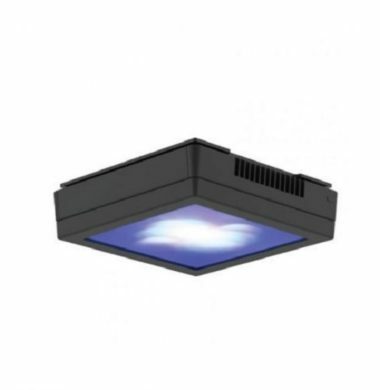 The Ecotech Radion XR30 Diffuser is designed to be used in conjunction with the Radion XR30 to offer a smoother, less ‘pinpoint’ appearance to the colour spread offered by the standard fixtures already supplied with the light units. 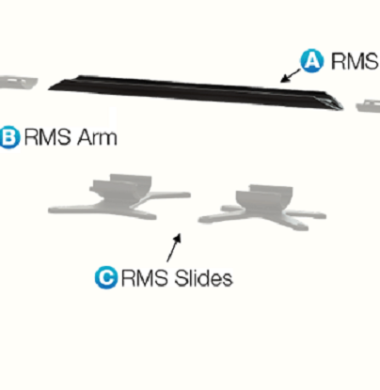 RMS Single Radion Tank Mount designed for XR15 model Radions. The kit contains everything needed to tank mount a Radion light on almost any standard or rimless tank. Each kit contains multiple sliding rails and a rotatable x-bracket allowing you to easily position your Radion precisely where you need it. RMS Single Radion Tank Mount designed for XR30 model Radions. The kit contains everything needed to tank mount a Radion light on almost any standard or rimless tank. Each kit contains multiple sliding rails and a rotatable x-bracket allowing you to easily position your Radion precisely where you need it. The Ecotech Radion XR15 RMS Slide is designed for use with the other RMS components to mount Radion XR15’s onto rimless Aquariums. 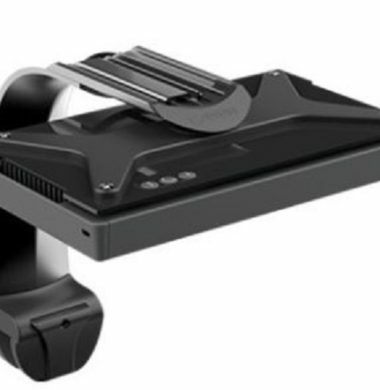 The Ecotech Radion XR15 RMS Slide can swivel in the hole of its clamp, allowing the lights attached to be mounted horizontally or vertically above the Aquarium. The Ecotech Radion XR30 RMS Slide is designed for use with the other RMS components to mount Radion XR30’s onto rimless Aquariums. 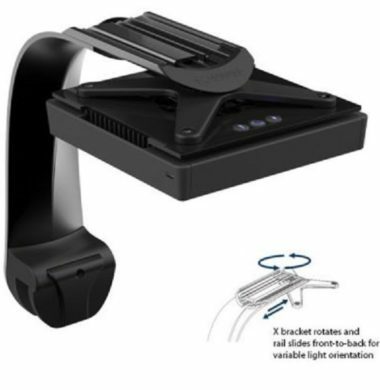 The Ecotech Radion XR30 RMS Slide can swivel in the hole of its clamp, allowing the lights attached to be mounted horizontally or vertically above the Aquarium. The Ecotech Radion RMS 30.5″ Rail is designed to be used in conjunction with the RMS accessories to create the ideal Hanging Rail system. The Ecotech Radion RMS 30.5″ Rail is designed to either be mounted via Tank Mounts on Rimless Aquariums, or from the ceiling via the Radion RMS Hanging Wire Kit. The Ecotech Radion RMS 50.5″ Rail is designed to be used in conjunction with the RMS accessories to create the ideal Hanging Rail system. 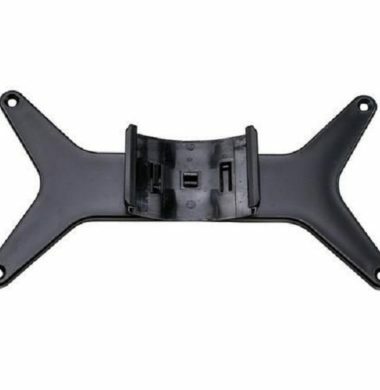 The Ecotech Radion RMS 50.5″ Rail is designed to either be mounted via Tank Mounts on Rimless Aquariums, or from the ceiling via the Radion RMS Hanging Wire Kit.